I doubt if Victoria Beckham will be flattered by the description of this woman as a "Victoria Beckham lookalike". Never mind, Posh. It's in a good cause. 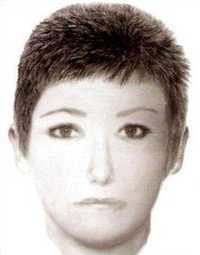 Private investigators searching for Madeleine McCann released this artist's impression on Thursday, because they want to trace the woman depicted and interview her. The latest news is that a woman in Sydney, Australia, thinks she can identify the woman. New South Wales police have taken a statement.